Christ the King Church is committed to reach people with the life-giving message of Jesus Christ. Join CTK Church as we experience God, find freedom, discover purpose and make a difference in the world. 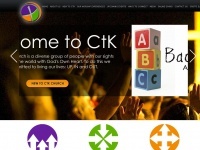 two profiles were found for Ctkcharlotte.org in social networks. Among other social networks the website is represented in Facebook and Twitter. The web server used by Ctkcharlotte.org is located near the city of Scottsdale, USA and is run by GoDaddy.com, LLC. There are many websites run by this web server. The operator uses this server for many hosting clients. In total there are at least 400 websites on this server. The language of these websites is mostly english. The content management system WordPress in the version 5.1.1 is used. The HTML pages were created with the latest standard HTML 5. The website does not specify details about the inclusion of its content in search engines. For this reason the content will be included by search engines.